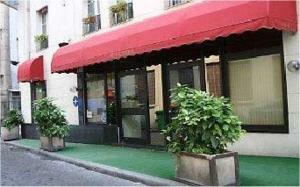 Flora, Paris discount hotels and accommodation. The Flora hotel offers you a warm welcome, with 45 rooms equipped with air condionned, tv satellite, mini-bar. Next to the nothern station (with direct access rer rail link to the villepinte exhibition, stade de france, charles de gaulle airport) and eastern station. The quiet location of hotel Flora allows you to combine your professionnal activities with the entertainment found in Montmartre area and Republique square. View photos, room descriptions and make online reservations at Flora. Save on room prices at Flora, Paris.